In my last “Dose of Honesty,” I highlighted the positive end of the spectrum of commentary we receive from grantees. Here, I figured I’d talk a bit about the other end, using these comments from surveys of two different funders. Just like positive remarks, the terrible need equally careful consideration. It’s a rare foundation that solicits candid, grantee feedback through CEP’s Grantee Perception Report, that doesn’t end up with a zinger in there. Invariably, comments like these cause serious freak-outs when staff members read them in the full list of redacted comments we provide. Yet, as these one-off comments absorb attention and focus, they can distract from the important insights hidden in less snappy language in the rest of the qualitative feedback. So, staff should be upset – but mostly if those comments are part of a broader theme and not, as the zingers often are, just an indication of one very broken funding relationship. One comment is scant evidence of failure – or, for that matter – of success. The glowing comment that gets tacked up on a bulletin board can wipe away dozens of comments that reveal utter mediocrity, or worse, a serious problem. As intoxicating as they may seem, like the zingers, one or two compliments – in a survey or at a dinner party – are just anecdotes. Don’t get me wrong – qualitative anecdotes have their place. Terrible comments like those at the beginning of this post make for important warnings to foundations about what to try to avoid. They provide a visceral punch in the gut. 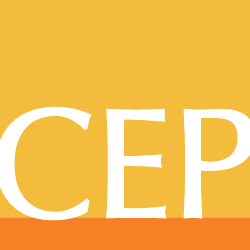 But our focus at CEP is to raise up themes worthy of significant attention – and so we try to focus on trends in negative comments that highlight areas in which grantees say funders most need to improve.